Hi everyone! 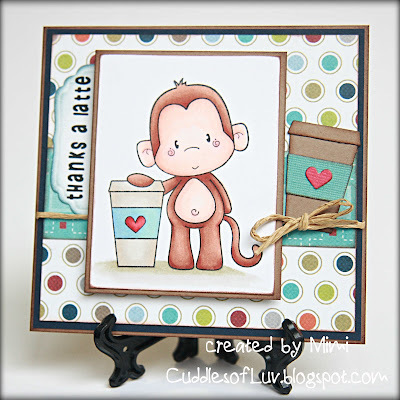 Today is All That Scraps Wednesday Challenge, and it's our popular ANYTHING GOES!!! 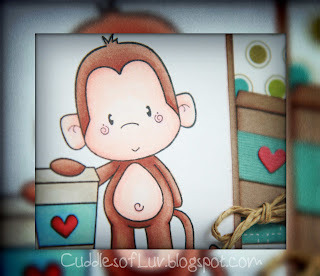 This adorable guy is from CC Designs November release, Latte Monkey... isn't he just the cutest? and the coffee cup is from CC Cutters Cocoa and Coffe Die set! Computer generated sentiment, then cut out with the Spellbinders Labels 8 die. Papers are from MME Lil Robot... just love the colors! Be sure to check out the ATS Challenge blog for details on the challenge and more inspiration from the team! With Thanksgiving being tomorrow, the kids have no school today, so we'll be baking today for tomorrow's big dinner... X2! We'll be celebrating with my family as well as my hubby's. So there's gonna be alot of food!! This is so super cute!!! 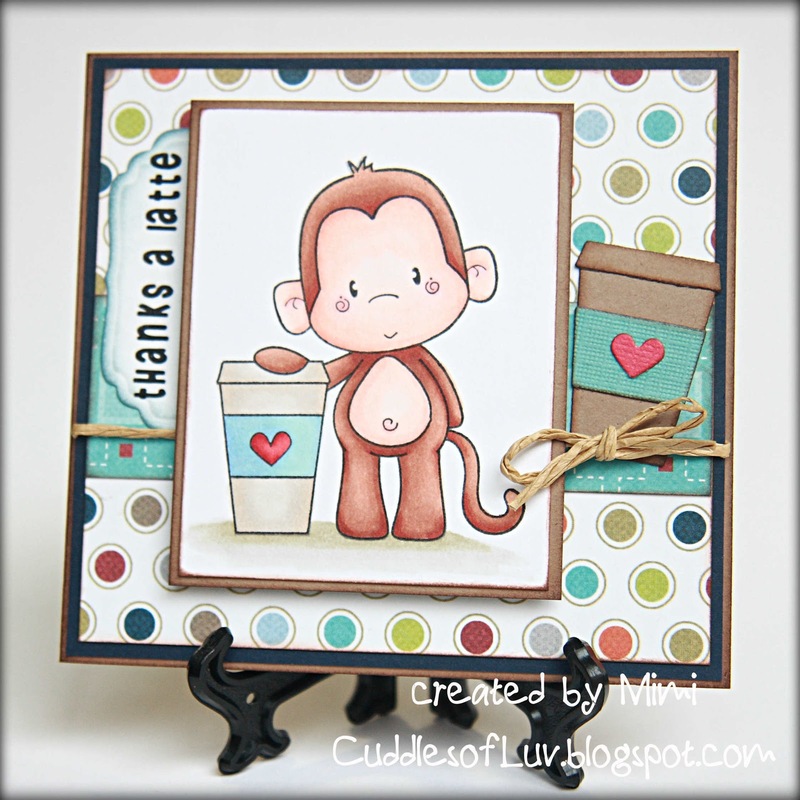 Love the image and the fabulous die cut cup. Oh my goodness! That's just too cute! Darling image and card.